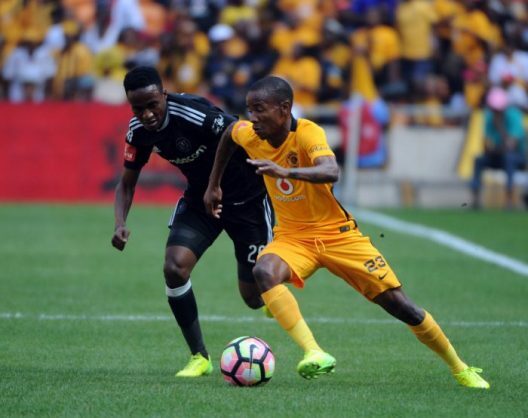 The Absa Premiership is in full swing this weekend, with the pick of the ties being the Soweto derby between Kaizer Chiefs and Orlando Pirates at FNB Stadium today. Phakaaathi’s Jonty Mark and Khaya Ndubane give their views on who will win the Soweto derby, and why. If I was a betting man, I would probably take a punt on a draw for Saturday’s Soweto derby, because that is so often the way with this game, with both Orlando Pirates and Kaizer Chiefs more afraid to lose than prepared to go gung-ho for the win. However, I do also have a sneaky feeling that Pirates might just edge this first Absa Premiership derby of the season, for a couple of reasons. Milutin Sredojevic has come in and done a decent job in tightening up this Pirates side, after a dreadful last season when their back four tended to part like the Red Sea on too many occasions. The Buccaneers have lost only once in the league so far, in a tight game against Bidvest Wits. I expect Pirates to sit on the back foot and soak up Chiefs’ pressure, trying to hit them with fast counter-attacks. Alternatively, Pirates can be a threat in the air, particularly with the power of Thamsanqa Gabuza, who looks in good form this season. It should be close, but I just think Sredojevic can find a tactical masterplan to win this one. He is wiser than he was in his first spell with Pirates, and this is his chance to show it. Chiefs have the momentum after the midweek win at Sundowns, but they tend to blow hot and cold, and the chances are they will not be able to perform like that twice in a row. It’s true that one cannot rule out a draw in this match, but if what the coaches said during a press conference on Thursday is anything to go by, then today’s Soweto derby will be an entertaining affair. Both coaches, Steve Komphela and Micho Sredojevic, predicted 2-0 wins for their respective teams. This means that unlike in the past, today’s match, will be an open one which is good for the fans who’ll be attending the game and to those who will be watching at home. Chiefs are on the high going into this match following their win against Mamelodi Sundowns and will be looking to continue their winning ways against the Pirates side that was held to a draw by bottom-placed Platinum Stars on Wednesday. The Bucs defence is indeed looking stronger this season compared to last, yet it was bridged easily by Stars on Wednesday. It took Stars only three minutes to find the equaliser. Bernard Parker, who scored against Sundowns, will punish Pirates if they give him a slight chance inside the box. Actually, I think Parker will win this one for Chiefs today.